Requiem Mass: We remember to pray the repose of the soul of PEGGY MacKINNON (Peggy Dhòmhnall Ailig of Barra & Paisley). Peggy peacefully passed away recently in Paisley at the age of 86. Peggy’s Requiem Mass will be on Monday 3rd December at 11am in St. Brendan’s Craigston. Eternal rest grant unto her O Lord and let perpetual light shine upon her. May she rest in peace. Amen. We also pray for the repose of the soul of Iain Eosa MacNeil (Iain Eosa Sheumais Iagain) of Vatersay who died suddenly on Friday 30th November at the age of 67. 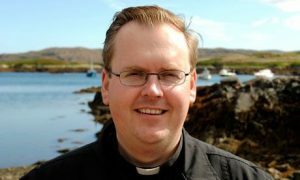 Iain Eosa’s remains will be taken into Vatersay church today ( Sunday afternoon) at 3pm and the Requiem Mass will be on Tuesday 4th December at the later time of 1pm in Our Lady of the Waves & St. John on Vatersay. Eternal rest grant unto him O Lord and let perpetual light shine upon him. May he rest in peace. Amen. Advent Season: we have now entered the season of Advent, the beginning of a new church year and of course preparing for the great feast of Christmas. 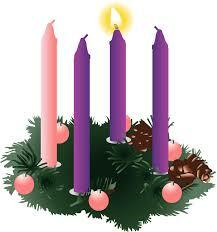 Advent is a time to prepare ourselves for the coming of the infant King into our hearts, homes and parishes. There are some Advent prayer books for Adults and children available at the church entrance priced £1. Church Dues: About this time of the year “Church Dues” are usually handed in. Diocesan financial Deficit: Please pick up the Diocesan handout and consider yourself the suggested ways in which you can help the Diocese. Basically Bishop Brian is encouraging us to put an extra £1 into the collection each Sunday from now on. Castlebay Altar Servers: a rota for the children to serve in Castlebay Church is being put together. Lapaich: the visiting of the housebound (the Lapaich) will be delayed till next week- the week beginning Monday 10th December.